Will you be jumping with joy or dancing with delight if I tell you that all of our favourite lip balm, Maybelline Baby lips, now come in three new colours, specially designed to suit the beautiful Indian skin tones! *pheww* ! 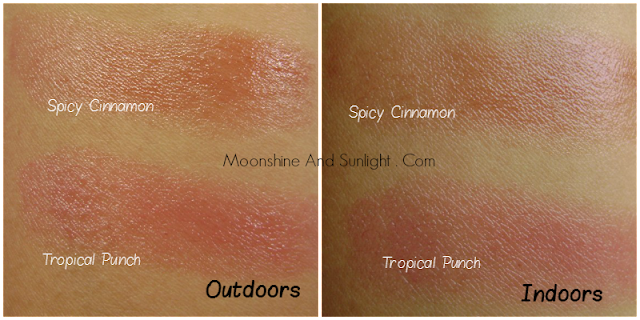 The three colours/flavours are Tropical Punch, Spicy Cinnamon and Berry Sherbet . Who doesn't love a little bit of special attention from our favourite brands! And especially when it's a brand like Maybelline and the special attention is towards BABY LIPS for US!! 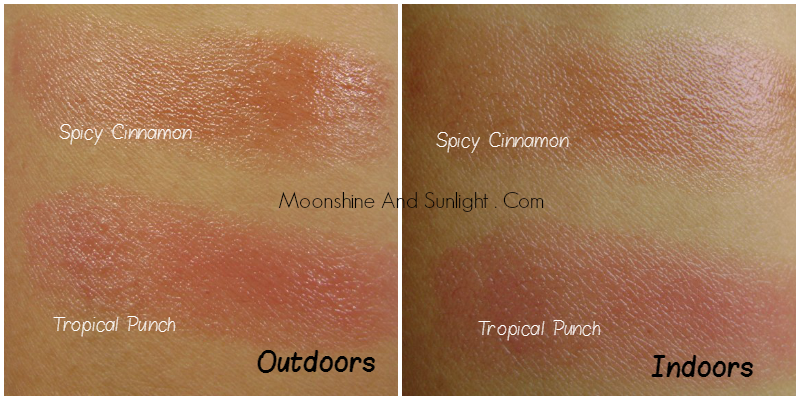 I have two shades for you today, Tropical punch ( My personal fav!) and Spicy Cinnamon. Tropical Punch – A pretty, deep, fushia pink. The color shows up after 3-4 swipes. I don’t really like the fragrance. It has a tropical, as the name says, fruity fragrance but it is a type of smell I do not like. Spicy Cinnamon – A dark and warm brown shade, it is really like the color of cinnamon. Color shows up with 2-3 swipes. I like the fragrance of this one , it smells a little fruity but mostly like cinnamon. The standard Baby Lips twist up packaging. The color of the packaging is same as that of the shade, with the name written alongside the body. Maybelline claims up to 12 hours of moisturization, but I noticed around 6 – 7 hours of moisturization. The color stays for almost 4 hours and fades a little after application, sometimes. I have slight pigmentation on my upper lips, which gets pretty much covered by these. It has SPF 20, so that is a relief during the summers. 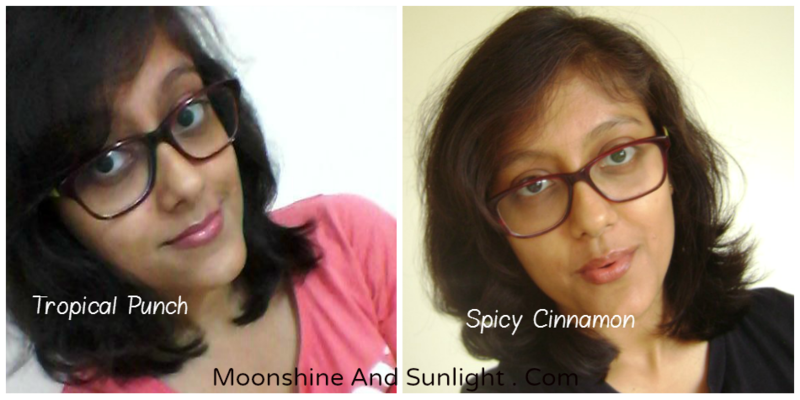 I love the shades and the fact that these are specially customized for Indian skin tones makes it even more special. Everything , apart from the shades( of course! ), is like the previous baby lips , but the price , OUCH! The Neon baby lips were priced at 135 and 165 INR, and now the price has increased again and this time it is 175 INR . Apart from the price I like everything about these so I am going to give these a 7 on the must have meter! The shades are so pretty and wearable after all! Do you like the shades ?? Did you get any ?? Let me know in the comments !